Description: Indigenous people are increasingly turning to international law and the international human rights system as a means of protecting their lands and property. 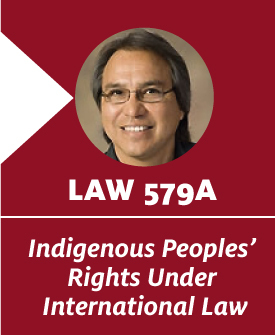 This course focuses on the critical role that international law—including international bodies such as the United Nations and the Organization of American States, etc.—play in protecting indigenous peoples’ rights to property, self-determination, cultural integrity, life, etc. This course also examines how international law precedents can be used when arguing for Indigenous rights at the domestic level.